Your wedding photograph book will become, over time, one of the most important keepsakes of your big day. The images will live on for the rest of your life, and it will be a special book both for you and your loved ones. Here are a few things to keep in mind before even booking your photographer. Color: Do you want your photo album to alternate between color and black-and-white photos? Do you want only candid shots? If you have some portraits, where will you place them amongst the candid snaps? Photo book or photo album? Do you want to select the best shots electronically and get them printed straight into a book or do you want to put prints into an older style photo album. How many albums do you want? Just one or a few? Do you want other copies of a photo book to give to others. Tell a story: Think of your album as a storybook. How do you best want to tell the love story between you and your partner? Do you want to lead up, through photos, to the first dance? What are the pivotal moments to build up to? Chronological Order: On that note, it’s often easiest (and it makes the most sense) to go in chronological order. Put the ceremony before the wedding reception. Think a lot about the first and last photos, as they make the first and lasting impression. Include Others: Obviously, you want to take the time to select the best photos of you and your partner. But, don’t forget about your family members and best friends. Make sure to highlight as many important guests as possible. And Decorations: Spend a lot of time and money on floral arrangements and cute party favors? Think about including some photographs of these items in your book. Years down the road you will be happy you did. Don’t clutter the book: Putting too many photos on a page may become overwhelming. Let the photographs speak for themselves. One or two on a page should do it. Artifact Uprising offers a range of options for photo albums where your photos are printed right into the book. 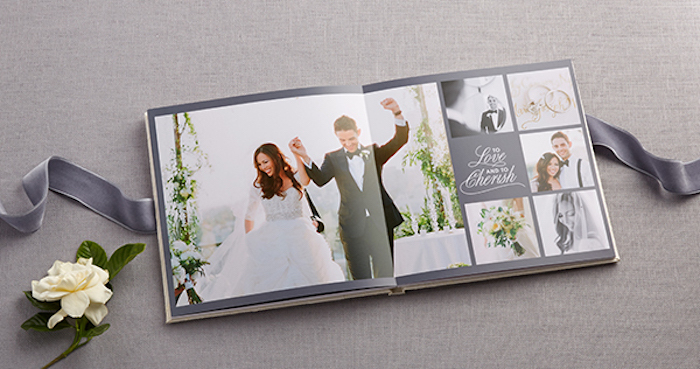 A hardcover photobook can go as low as $69 or you can get a full “Wedding Albums Collection” for around $230. Cypress prides themselves on making handmade photo albums and presentation boxes. On their website, they write that they are “committed to preserving your photographs as heirlooms.” You can customize the material. Maybe an eco-friendly leather-bound book with a beautiful blue ribbon? It can be pricey, $800 to a few thousand, but it’s special and beautifully bound by hand. Milkbooks offers a range of photo albums and photo books. They claim weighty board pages and acid-free, earth-friendly sustainable paper. They look hefty, classic, and aren’t too pricey. You’re looking at a few hundred dollars here, most likely. 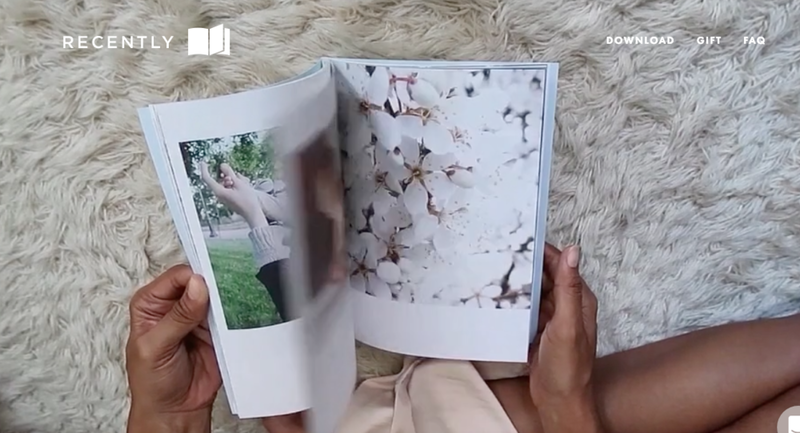 Blurb is an affordable, and not to mention chic, option for a customized photo book. It may only cost you around 100 bucks or so. Maybe even less, depending on the size you select. TweedWolf offers handcrafted albums that you customize yourself. Their signature album package (which features a charcoal linen cover with photo option) goes for nearly $300, while their premium package (which features a sand linen cover and 60 additional pages) goes for $450. 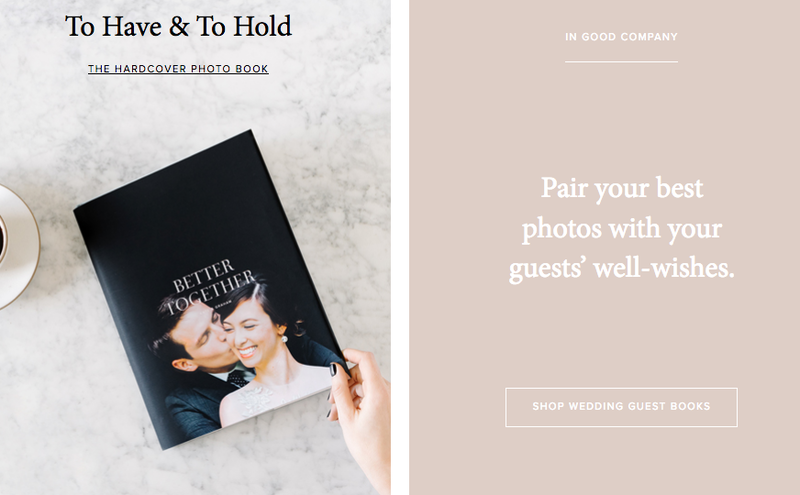 With Shutterfly, you can either hire designers to make your book for you or you can maneuver their easy-to-use program, which allows you to drop and drag your photos as you see fit. They offer multiple photo layouts and lots of fun backgrounds and captions. Prices range but you’re probably looking at the more inexpensive side here. Think around $100. What’s fun about Recently is that you can upload images right from your phone’s camera roll into the program, transforming it into a photo book. This could be a good option for some of the more fun, candid moments of the night. Maybe group together all the fun shots your friends took? The covers look very magazine-like and they range from $12.99 to $65. Your good friend Google can help you make inexpensive photo books starting at just 10 bucks a pop. Could be good gifts for your parents or favorite wedding guests.